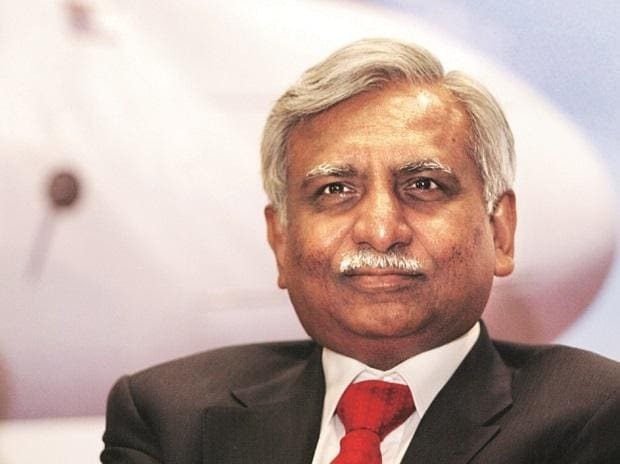 Jet Airways Chairman Naresh Goyal has told employees he was willing to make any sacrifice for the viability and prosperity of the airline and assured them of detailed update on the resolution by March 18. This is the second communication from Goyal in a week and follows a joint statement he issued with Etihad Airways Chief Executive Officer (CEO) Tony Douglas. Jet has delayed salaries and vendor payments and had to ground 21 planes due to non-payment of lease rents. A resolution plan is being finalised to restore the stressed airline but differences have emerged between the airline partners and lenders on issues related to equity infusion, debt guarantees, concessions and waivers. “While a few steps remain, some critical steps are behind us, and the remaining approval processes are well underway. I assure you that I am personally working (to ease) this situation as rapidly as possible. I do not, never have and never shall take your patience (for) granted. In the last 25 years, I have given my life for this company and its employees, and today more than ever I am willing to do whatever it takes to ensure that our Jet not only survives but also thrives and dominates and remains the first choice of customers as before,” Goyal wrote in the letter. He has also sought continued support from employees and expects the situation to gently ease for the airline within 20 days. He also assured them that the airline CEO Vinay Dube would update them on resolution by March 18. The airline faces a funding gap of Rs 8,500 crore. It aims to bridge that through equity infusion, and sale of aircraft, among others. The airline is urgently looking to raise Rs 500 crore in debt but no agreement has been reached yet between the airline and its lenders. Last month, the airline's pilots’ union, National Aviators Guild, warned of non-cooperation from March 1 as the airline had failed to keep up with commitments. They later withdrew the protest in view of escalating India-Pakistan tension.